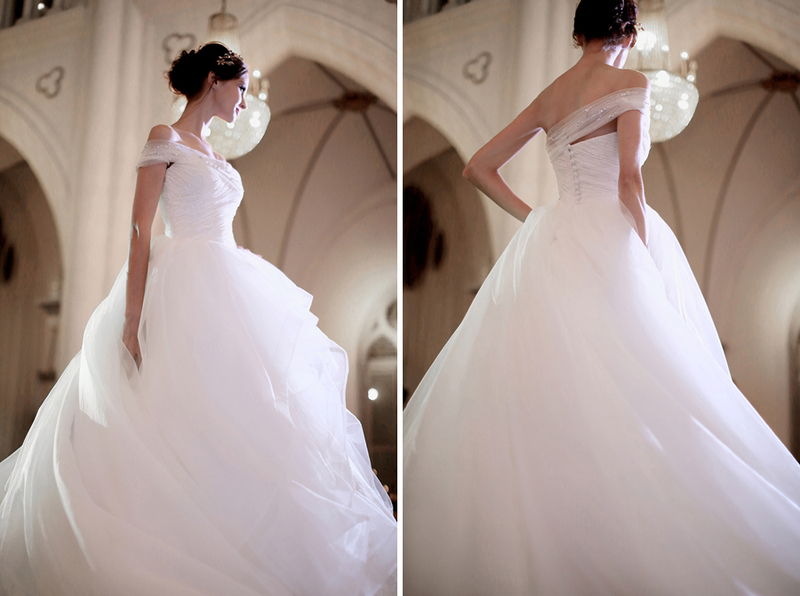 If you’re a bride-to-be searching for your dream wedding or evening dress, you’re in for a wealth of inspiration. 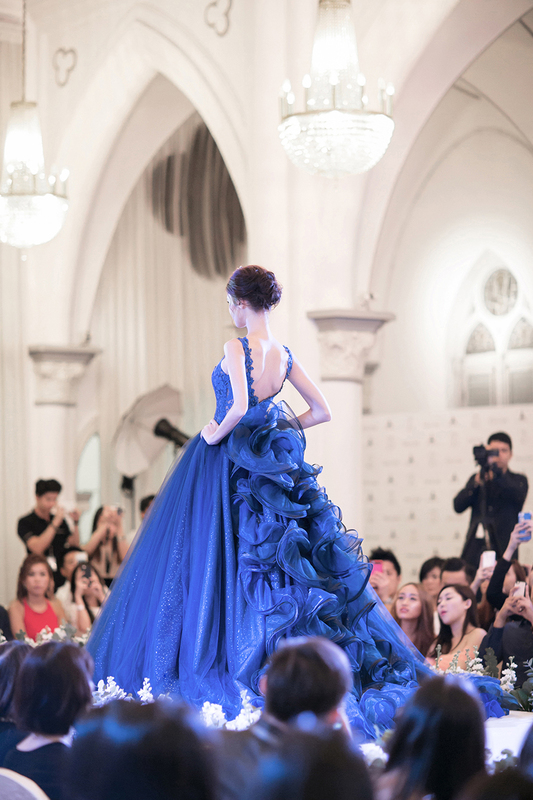 This March, bridal boutique Z Wedding Design launched their latest collection “The Chijmes Wedding Collection 2016” and we were given access to an evening of sumptuous lace, ruffles and tulle at their exclusive runway show. 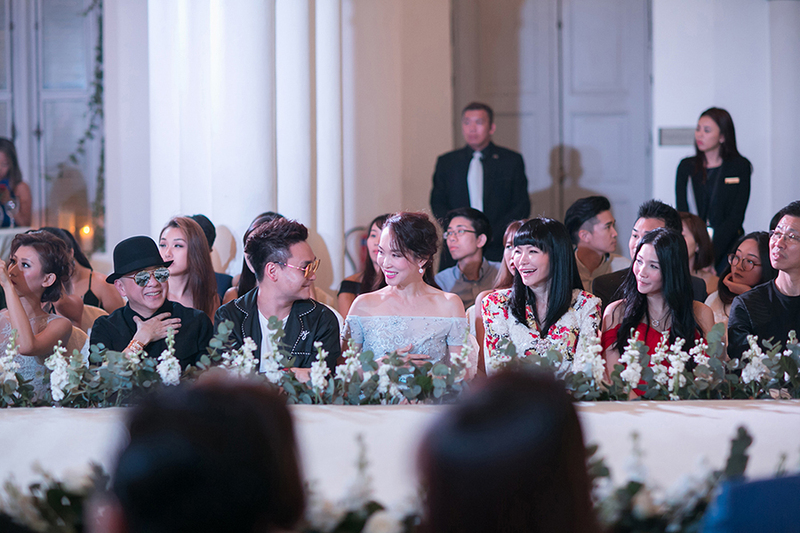 The turnout for the show included well-known local celebrities such as Fann Wong, Chris Tong Bing Yu, David Gan, Dr. Georgia Lee, and celebrity stylist Martin Wong, who graced the front row, with other media personalities dressed to the nines, creating a wonderful sense of anticipation for the evening to come. 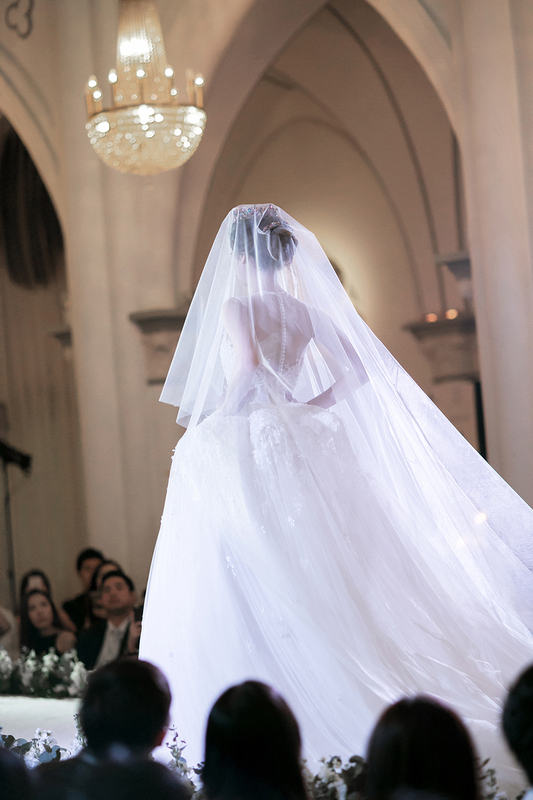 In collaboration with Watabe Wedding Chjimes, the collection showed off designs inspired by the subtle grandeur of the historical monument’s architecture and interiors in the form of handcrafted embellishments, undulating lines and bold lace. 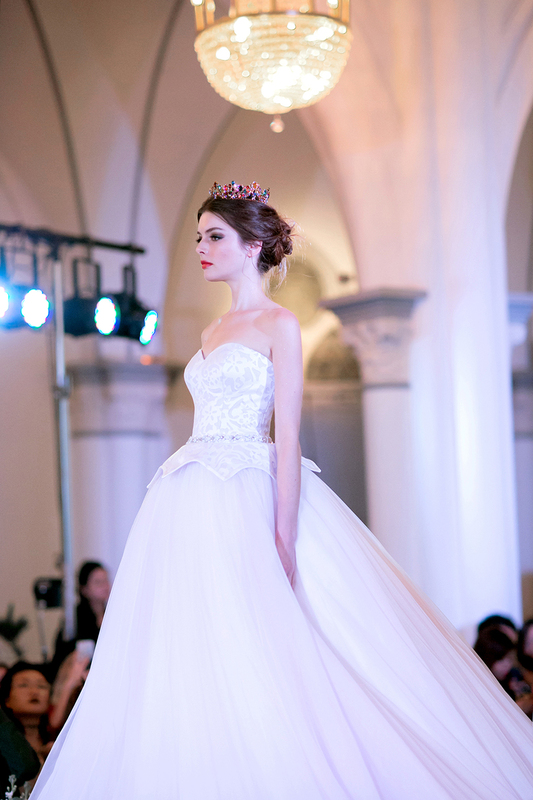 The result is a lineup of dresses that embody femininity, elegance and confidence. 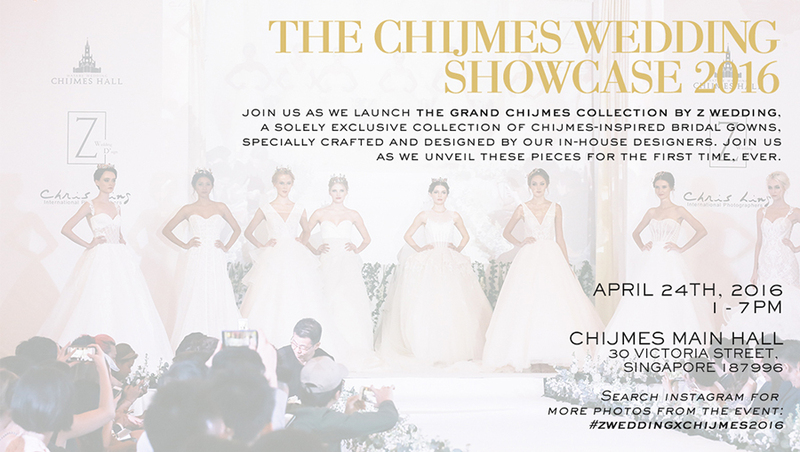 Read on till the end of the feature to find out how you can view Z Wedding Design’s “The Chijmes Wedding Collection 2016” for yourself in the bridal house’s upcoming public wedding showcase. 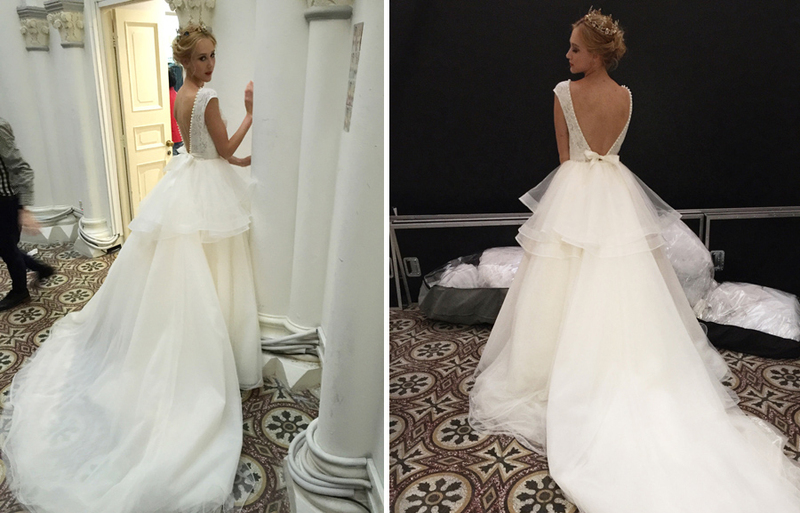 We had a peek backstage, where this girly-meets-glamour ball gown with a voluminous train and flirty peplum hemline gave us a glimpse of what was to come on the runway. 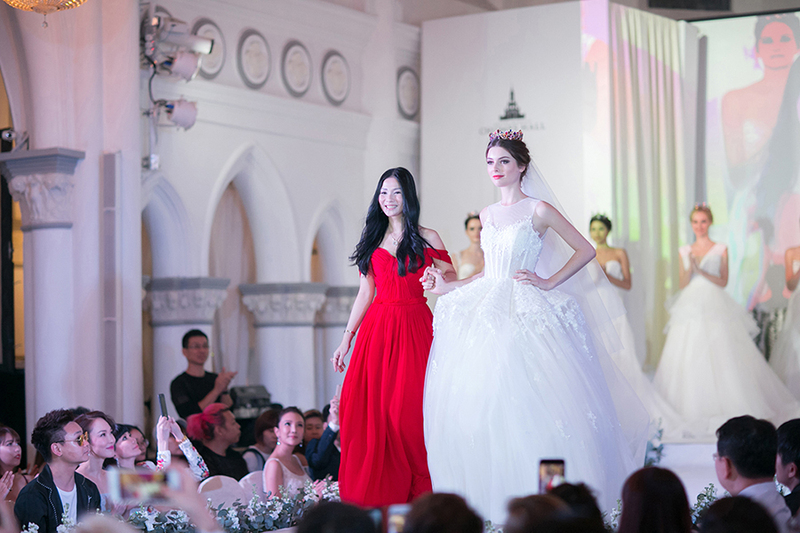 The show kicked off with a bevy of white gowns whose abundance of tulle, subtle shimmer and floral lace complemented the intricate floral and bird motifs on Chjimes Hall's Corinthian columns and hanging crystal chandeliers of warm golden light. 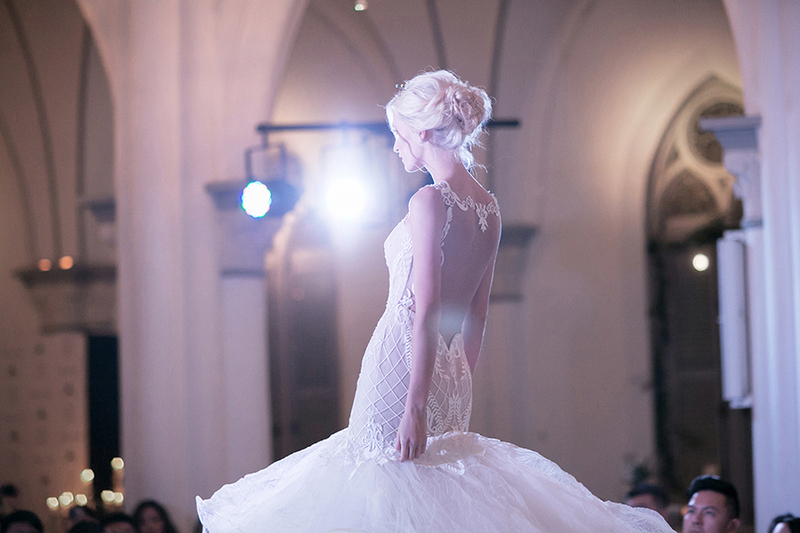 Besides traditional white gowns, the designers fearlessly matched bold colours with statement details such as cascading ruffles and bare backs. 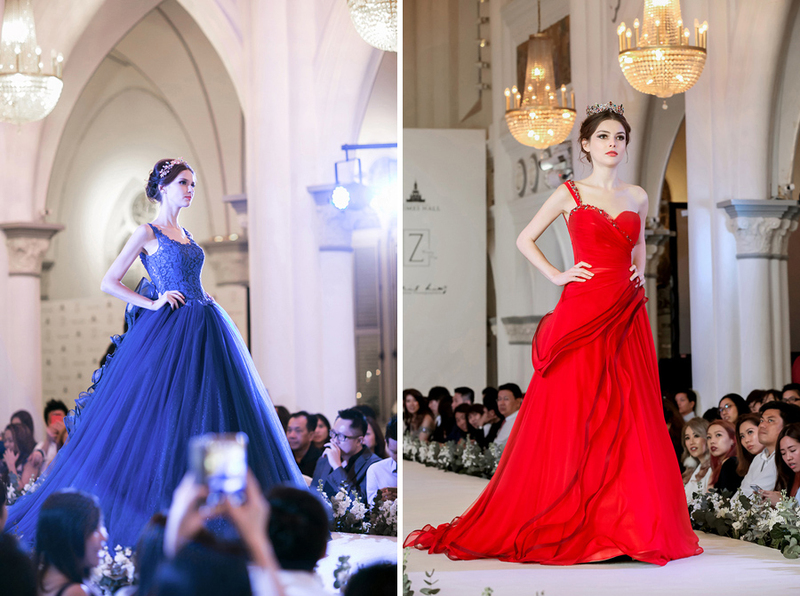 But perhaps what had the crowd most excited were the soft blue creations that reminded us of Queen Elsa from Disney’s popular animated movie, “Frozen” – dresses we imagine would be fit for a princess bride at her fairytale wedding. 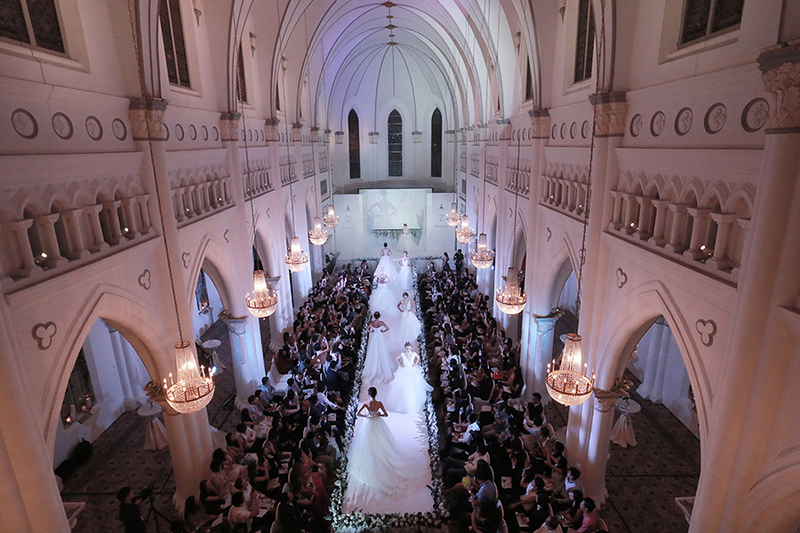 Z Wedding Design will be having a public showcase on 24 April 2016 at Chijmes Hall. 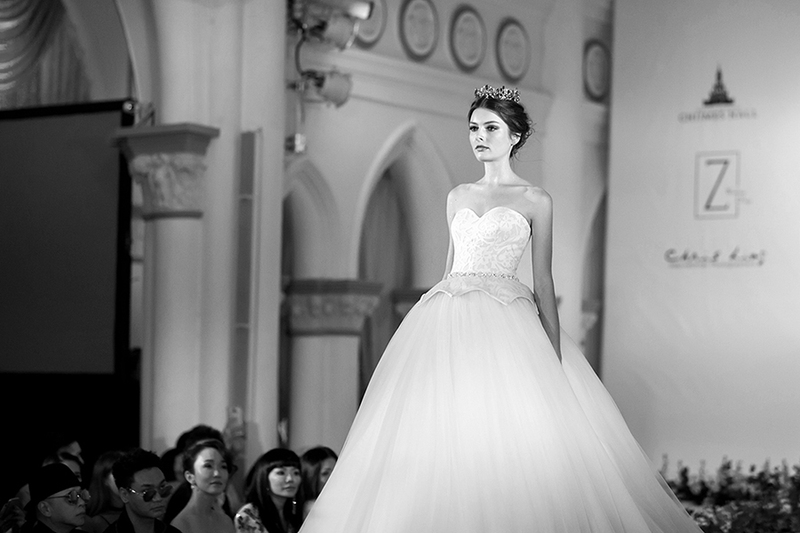 View their collection of gowns, meet the designers themselves and take advantage of discounted prices from Z Wedding as well as special Chijmes wedding package promotions. 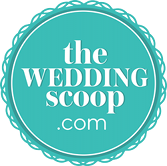 In addition, be inspired by and receive tips from wedding vendors covering desserts, florals, beauty, calligraphy and more. 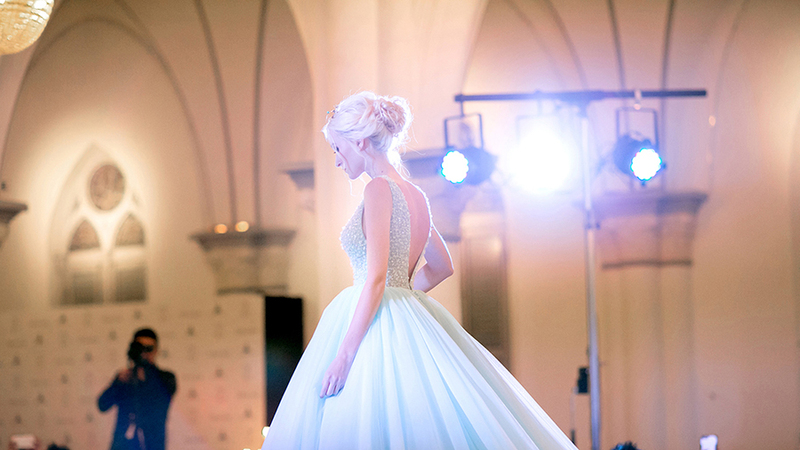 It's an opportunity not to be missed! 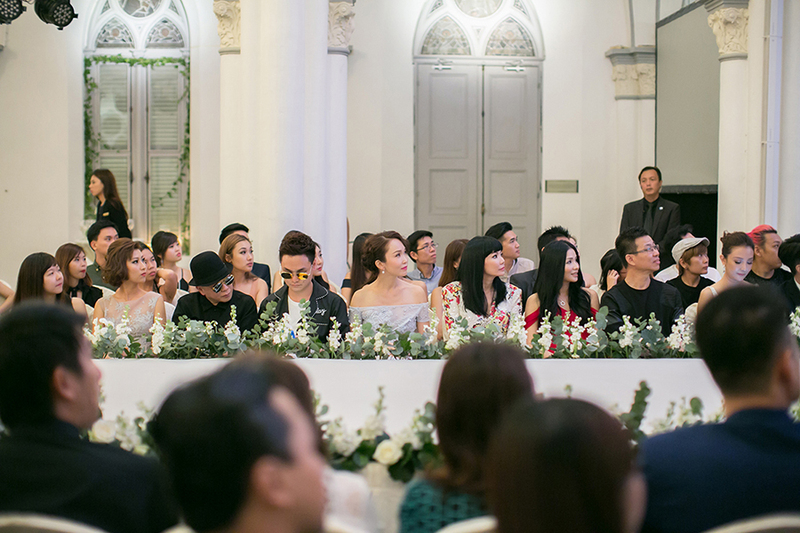 For more information about the “The Chijmes Wedding Showcase 2016”, visit Z Wedding’s events website or their Instagram page.